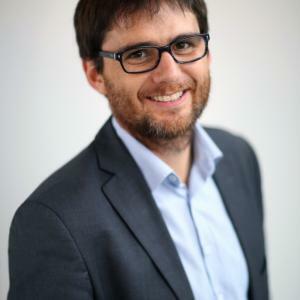 Laurent Deville, PhD, is Associate Professor at EDHEC Business School (on leave from CNRS, the French National Center for Scientific Research). His research is devoted to the analysis of index derivatives and Exchange Traded Funds with a focus on market efficiency, liquidity and competition. One primary reason for the success of ETF is liquidity, but the way it is provided has not received much attention in research. Laurent DEVILLE investigates the conjecture that the ETF specific structure implies that (il)liquidity on primary assets should be passed on the ETF market itself both theoretically and empirically. He also studies the creation and development of ETF markets from a sociological viewpoint.. He has published articles in several international peer-reviewed journals. He has taught master level classes “Options, Futures and other Derivatives”, “Fundamentals of Trading” or “Advanced Excel and VBA programming” at EDHEC Business School, “Derivatives in asset management” at Université Paris Dauphine (France), “Theory of Finance” at HEC School of Business (France) and CIIA® program “Derivative Valuation and Analysis” in Tunis (Tunisia).